What is the Impact of Mastercard's New Digital Wallet Fee? As digital wallets quietly enter the brick-and-mortar retail space, expanding beyond their online roots, their relationship with traditional card networks is evolving. This shift manifested last month in MasterCard unveiling a new registration process for “staged” digital wallets that accept MasterCard payments. We take a look at how this fee will impact key stakeholders in the emerging digital wallet ecosystem, and which players might be the hardest hit. Fighting back against the rise of digital wallets in the brick-and-mortar space, MasterCard has recently introduced a new fee for staged digital wallets, requiring some wallet operators to pay a premium for accepting MasterCard payments through their platform. Alternatively, wallet operators have the option to take part in a new registration process, which would require them to abide by revised data sharing and transparency rules. According to a MasterCard statement, the fees will be assessed to the wallet provider on an annual basis, based on the prior year’s MasterCard transaction volume. The fee, which will officially take effect in June 2013, will apply only to digital wallet operators in the US, and only to “staged” wallets in which the wallet provider (such as Square or PayPal) shows up as the merchant, obscuring specific merchant and transactional data. These are distinct from “pass-through” digital wallets, in which purchase details are transparent and accessible to the card network. According to the MasterCard statement, the purpose of the registration process is to improve the transparency of staged wallets, which can help MasterCard better understand who the actual merchant is, support consumers’ ability to earn reward points, and support both merchants and issuers in the chargeback process. Beyond data transparency, the registration process and associated fee is also likely a reaction to the increasing encroachment of digital wallets amid card networks traditional niche – brick and mortar retailers. Last month, the president of MasterCard’s US markets, Chris McWilton asserted that PayPal “rides for free” on the back of other company’s business models. Using digital wallets rather than credit cards at the point-of-sale may also reduce the amount reaped from interchange fees, as consumers opt to fill their wallet with a large sum at one time, rather than paying for each transaction individually. Further, MasterCard announced at this year’s Mobile World Congress plans to launch a re-vamped PayPass mobile payments system, which we covered in this Mondato newsletter. Last week, MasterCard officially launched its MasterPass wallet product in Canada, which consumers can use to make payments at the POS, online or on their phone. The platform further allows banks and merchants the ability to offer customized wallets tied into the MasterPass system. Given these MasterCard developments on the digital wallet front, perhaps the new fee is an attempt to drive merchants and consumers towards their platform, rather than to PayPal or other digital wallets. Among industry analysts, much of the focus on the MasterCard announcement has surrounded its impact on PayPal, which operates one of the largest digital wallets currently on the market. According to a recent ComScore study, about 72 percent of consumers are aware of the PayPal digital wallet, in contrast to only 51 percent who are aware of all other digital wallets (including Google Wallet, MasterCard PayPass and Square Wallet). As PayPal increasingly migrates into the brick-and-mortar space, the company has become a key competitor to traditional card networks. Reflecting concerns that the MasterCard fee will negatively impact PayPal, stock in its parent company eBay has dropped over recent weeks, despite steadily rising throughout the past year. But while the fee may put some pressure on PayPal, the impact is more likely to be felt by less ubiquitous names in the digital wallet space – whose already low margins may be cut further by an additional fee. While PayPal has multiple high-margin funding sources, with a diversified portfolio of e-commerce activities beyond the POS, emergent mobile point-of-sale players such as Square and Isis are highly dependent upon their POS offerings. Although Google’s Wallet is more likely to emerge unscathed, given the amount of revenue it makes through web advertising and other sources, smaller players such as LevelUp, GoPago, Isis and others may be hit harder – with this new policy coming just as they look to ramp up consumer adoption and expand their reach. If these additional fees trickle down to the end users, or prevent the rise of competition in the industry, the impact may be felt most by consumers and merchants. There may be less room for innovation from disruptive players such as Square and Lemon Wallet, who endeavor to drive down fees for both consumers and small-scale merchants. While the fee is certainly newsworthy, it is hardly surprising. 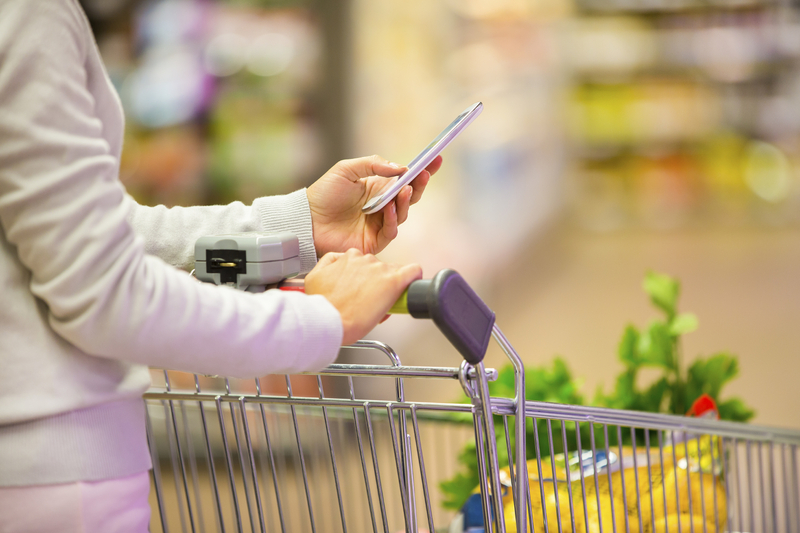 As digital wallets increasingly become players in brick-and-mortar stores, the relationship between m-payment providers and card networks is evolving, and certain changes are inevitable. Both credit card companies and digital wallet operators will need to renegotiate their unique roles in the retail ecosystem, which may manifest in network access fees or other strategies. So, although the fee may not take off as an industry-wide phenomenon (Discover and American Express have also asserted that they have no plans to implement a fee), it will certainly spur a dialogue on how traditional card networks and emergent digital players can co-exist in the physical retail space without stepping on each other’s’ toes. Further, these players will need to figure out how they can do this in a way that doesn’t drive up costs for end users, whether they are merchants or consumers. Can Digital Wallets Save Brick-And-Mortar Retail?